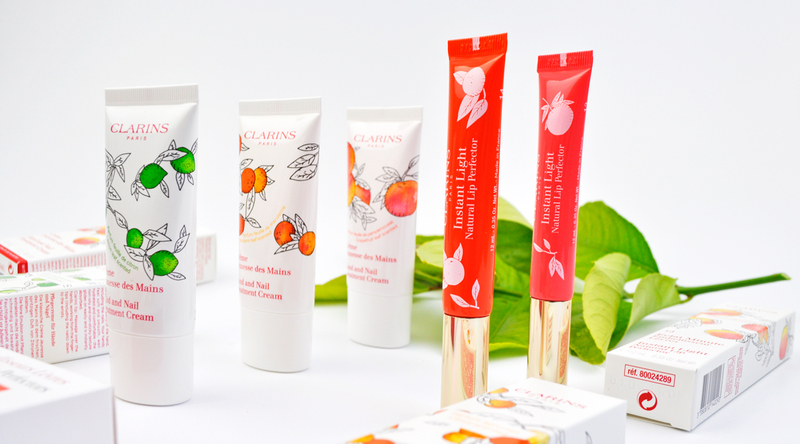 When I think of indulging in luxury makeup and skincare, Clarins is the first brand that comes to mind. This season’s latest limited-edition collections include: The Natural Lip Perfectors and The Scented Hand Creams. I have been blown away by every product in these sets, they smell good enough to eat and feel incredible on the skin. If you’re like me and have already begun your Christmas shopping, then I highly recommend picking these up to either splurge out for yourself or gift to a loved one. I know that shopping for others can be a challenge, however I assure you these gifts are foolproof and would make the ideal Xmas stocking filler for the beauty enthusiast in your life. Nourishes, hydrates and protects for soft, supple lips. I don’t normally like to kiss and tell but these Natural Lip Perfectors are not only gorgeous to wear but feel moisturising on the lips. The glossy, fruity finish deliver rich hydration without making the lips feel sticky. This longlasting formula feels lightweight on the lips and softer for longer. They can be worn either alone or over the top of your favourite lippie adding a hint of colour and ample nourishment, keeping lips healthy supple and delicious. A creamy texture with a deliciously sweet scent and 3D shimmer. Experience the lusciously smooth, shiny and fuller lips you’ve always dreamed of. Your lips are naturally coloured and hydrating day after day. Three’s A Charm! This trio of delicious zesty Hand and Nail Treatment Creams take self-nurturing to the next level. Thanks to the smoothing plant extracts and soothing citrus fragrance, these nourishing creams intensely moisturise for long-lasting comfort. Their texture is rich and creamy gliding on smoothly without being greasy. My hands, cuticles, and nails are left healthy, moisturized and freshly scented. I keep a tube on me at all times, so I can slather it on whenever I need to rehydrate my skin. How to apply: Apply morning and/or night or whenever skin feels dry. Massage in gently from fingertips to wrists, including the nails and cuticles. Formulated with soothing plant extracts, Clarins’ intensive moisture treatment nourishes and softens rough, dry, irritated skin – while helping to reduce the appearance of age spots. Absorbs instantly; no sticky after feel. The beauty essential for smooth, protected, delightfully scented hands. Have you started your Christmas shopping? 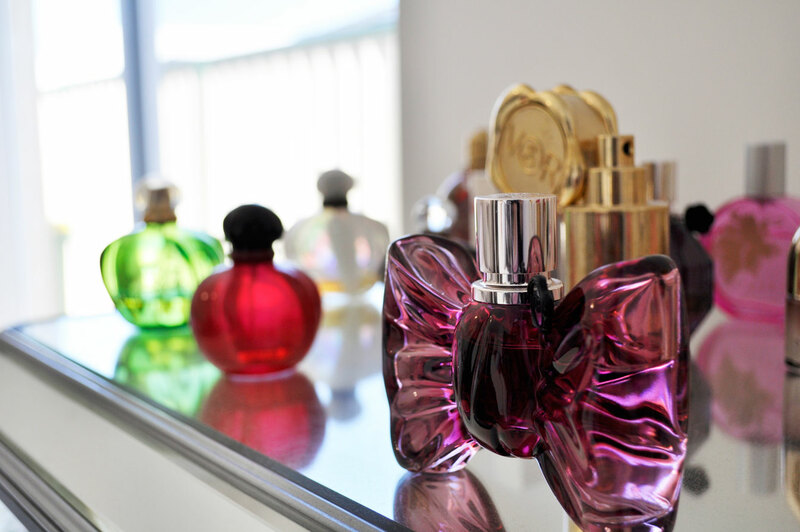 What’s on your Christmas Wishlist this year? I love the sound of the hand cream. I can’t decide which one I like best, they’re all so good! I am loving these mini sets so much! The hand creams smell amazing! And the lip balms are perfect for spring! I love the packaging of both the lip perfectors and the hand cream. The shades of the lip perfectors are so beautiful, nice review, I am going to check the lip perfectors, great that they are moisturizing. Love it when brands come out with sets! You get such good value. I love the three hand cream set, I go through them so quickly! These look so beautiful! I really want to try the Lip Perfectors. Ooooo the Instant Light Natural Lip Perfectors look gorgeous! Such pretty shades! That’s so cool that their creams are for both hands and nails! I would probably go through those so quickly!